A new internet craze is following in the footsteps of Gangnam Style and unless you’re living under a rock you’ve probably heard about it. It’s called the Harlem Shake and its taken the world by storm. From a social media point of view it makes perfect sense, but my musical tastebuds motivate me NOT to like this song and I’d have to be REALLY drunk to do the Harlem Shake, that’s a fact. The videos begin with the song’s sample of a man giving a siren call of “Con los terroristas!”(meaning “with the terrorists” in Spanish) followed by one person (who is usually in a ridiculous mask or helmet) dancing to the song alone as the beat builds. He or she is then surrounded by others who are stationary, blissfully unaware of the dancer. The directive calling “Then do the Harlem shake” is uttered about 15 seconds in, the bass drops and the video metastasizes into pure chaos. The rest of the video usually features folks doing crazy things for the next 15 seconds. Today I’m featuring two examples of the Harlem Shake that has been posted by South Africans. I am thinking that you’ll enjoy these. My first example comes from the folks at 9.47 Highveld Stereo in Johannesburg and features the disc jockey Anele (who is also a former 5FM DJ) doing the Harlem shake in a motorcycle helmet. A bunch of folks at the office join her. This clip is pretty hectic and I’m even spotting a familiar face (who is wearing a green wig) in the video. My second example comes from the folks at Oppikoppi / Hilltop Live. The okes from Watkykjy paid them a visit earlier today at their offices in Pretoria. The folks at the office came up with one of the most outrageous versions of the Harlem Shake. Watkykjy is actually running a competition in which you can win 10 Oppikoppi tickets. You have to submit a video of you and your friends doing the Harlem Shake to enter. I especially like to crocodiles in this clip. Check out the clip below. Which one of these examples is your favorite? What do you think of the Harlem Shake? Leave a comment and let me know, I’d like to hear your thoughts. Feedback is appreciated and welcome here. Feel free to share this post with your friends on Facebook and Twitter. Remember: Sharing is caring. 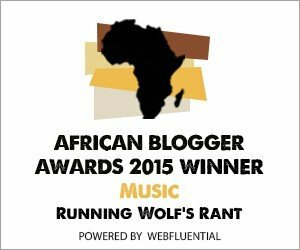 Watch this space for regular updates in the Humor category on Running Wolf’s Rant.